In most cases, students don’t realize that they don’t have enough time to complete their PhD dissertation. And it’s not even their fault. If you think about it, students are not very experienced at academic writing. They are far from being professional writers. This means that it takes a lot more time for a student to write a dissertation that it would take a professional writer. However, there are ways you can speed up the process. For example, did you know that there is software for writing dissertation papers? Yes, there are tools that can help you be more efficient. Also, there is dissertation writing software that helps you be a better academic writer. Do You Know How to Write Thesis Papers Correctly? Are you a good academic writer? Most students will consider themselves to be expert writers. However, you need to be aware that writing a dissertation is quite a difficult task. It takes months of hard work to pull it off. The amount of research and organization is immense. This is why you definitely need some tools for writing dissertation. Don’t worry; using software to help with finding and organizing ideas is not cheating. Neither is using tools that help you write better in academic style. And if you don’t know how to write thesis papers, these programs will assist you immensely. Remember, you need all the thesis writing service you can get if you want to get a top grade on your paper. Is Dissertation Writing Software Really Necessary? While few tools have been designed to help specifically with dissertations, some software is very useful for academic writing. And other tools will surely help with organization and planning. Even a calendar is most helpful when you’ve got so many tasks to focus on each day. While some people do not need dissertation writing software to help them, we consider that these tools are a must-have. They will help you save a lot of time; time that can be spent elsewhere. In addition, some of the tools we are about to talk about are great at helping you with any of your academic writing projects. We are not saying that this is the only software for writing dissertation; we are merely saying that we consider these programs to be the best tools for students working on their PhD dissertation. 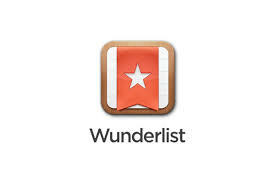 Wunderlist – this is a simple and effective to-do list software that will help you stay organized and keep track of all your tasks and goals. Mendeley – this is a literature management tools that will help you keep track of all your literature and all citations (plus it syncs automatically with a cloud service so you can access your literature from anywhere). LaTeX – This software was designed to help students prepare their documents for scholarly writing and technical writing. You can typeset, cite and cross-reference, among other things, effortlessly using it. Dragon Naturally Speaking – This is a must-have speech-recognition tool. You just speak into the microphone and the program transforms your speech to text. It can even search the Web using your voice only. Docear – This program can be integrated into Microsoft Word and can help you discover academic literature effortlessly. Even if you don’t know how to write dissertation papers, you can use this add-on to get all the literature you need. Evernote – A free program that helps you create and organize any kind of notes on your computer. It’s very easy to create multimedia notes and organize them in any way you like. You can even sync notes on your mobile device. This is in our opinion the best software for students who are working on their dissertation. Of course, there are many more tools online. And of course, one could always use a dissertation writing service to get some help. The professional academic writers from an online writing service can provide you with some assistance quickly, for a price. Dissertation Writing Tools or Dissertation Writing Service? The list of dissertation writing software should help you find some good, reliable tools. Of course, not all of the programs listed above are free. However, you can save a lot of money by using some of these programs instead of using a dissertation writing service. The downside is that you need to do all the work when using software. On the other hand, outsourcing some of the writing to an expert writer online is a lot easier. At the end of the day, what matters is that you get the job done. If the deadline is just around the corner, you definitely need a dissertation writing service. If you have enough time, use these tools to become more productive and keep yourself organized. Dissertation Writing Service: Is It Useful or Reliable? © Copyright ThesisRush.com - 2014 - 2019 | Thesis & Dissertation Sample Writing Service.